HomePeter and Nancy's BlogsLiving TorahDoes God care about Genes or Jeans? In our recent blog series, Nancy and I made a strong case from the Scriptures that Torah (instruction) has not been done away, but is still just as valid in today’s world as it was in the Temple sacrifice period before Yeshua’s first coming. In this week’s blog, I would like to focus on to whom YHVH’s Torah applies, and explain why Torah is intended for every person on this Earth, Jew and non-Jew. In the rest of this passage, Sha’ul goes on in Verse 23 to say that God shows mercy to those to whom He desires to show mercy (i.e. He draws them to the truth of Yeshua as the Messiah) and hardens the hearts of others so that they will not listen to the truth. He then quotes from Hosea, speaking of how the Gentiles (non-Jews from the nations) were “not a people” but now YHVH loves them and calls them His children. In Verse 24, Sha’ul says that the ones God selects as His children are taken from both the original descendants of Abraham, Isaac and Jacob, as well as those who are “gentiles” (not descended biologically from the fathers of Israel). He also quotes Isaiah 10:22-23 in saying that only a remnant of Israel will be saved: “Though the people of Israel are as numerous as the sand of the seashore, only a remnant will be saved”. Since we have established in our previous blogs that the Torah is for all of Abba Father’s children to observe, then the agreement between Old and New Testament Scriptures becomes crystal clear. Sha’ul quotes Isaiah once again in Romans 10:20 in making his point that the Gentiles will be drawn to YHVH, the true God of Creation, and become part of the “Commonwealth of Israel”: “I was found by those who did not seek Me; I was made manifest to those who did not ask for Me” (Isa 65:1). And again in Romans 10:21 he repeats that many of Israel’s genetic descendants will turn away from YHVH and reject His Messiah: “All day long I have stretched out My hands to a disobedient and contrary people” (Isa 65:2). The real clincher for me in terms of making the case that YHVH wants to draw all people into His covenant is in Isaiah 56:6-7: “Also the sons of the foreigner who join themselves to the Lord, to serve Him, and to love the name of the Lord, to be His servants—everyone who keeps from defiling the Sabbath, and holds fast My covenant—even them I will bring to My holy mountain, and make them joyful in My house of prayer. Their burnt offerings and their sacrifices will be accepted on My altar; for My house shall be called a house of prayer for all nations”. YHVH is clearly speaking of the non-Israelite (Gentile) people of the nations whom He will accept as part of His family, no less His children than the native Israelites. In the preceding verse (Isa 56:5), YHVH also says: ”Even to them I will give in My house and within My walls a place and a name better than that of sons and daughters; I will give them an everlasting name that shall not be cut off“. In summary, it is clear that YHVH accepts all of His created humans as His children, whether they are genetic descendants of Israel or foreigners from pagan nations, as long as they keep His Sabbaths and are faithful to His covenant. This is essentially a restatement of the Torah, as these are YHVH’s key instructions to His people: to keep His Sabbaths (which include His feasts) and live by his Kingdom laws. 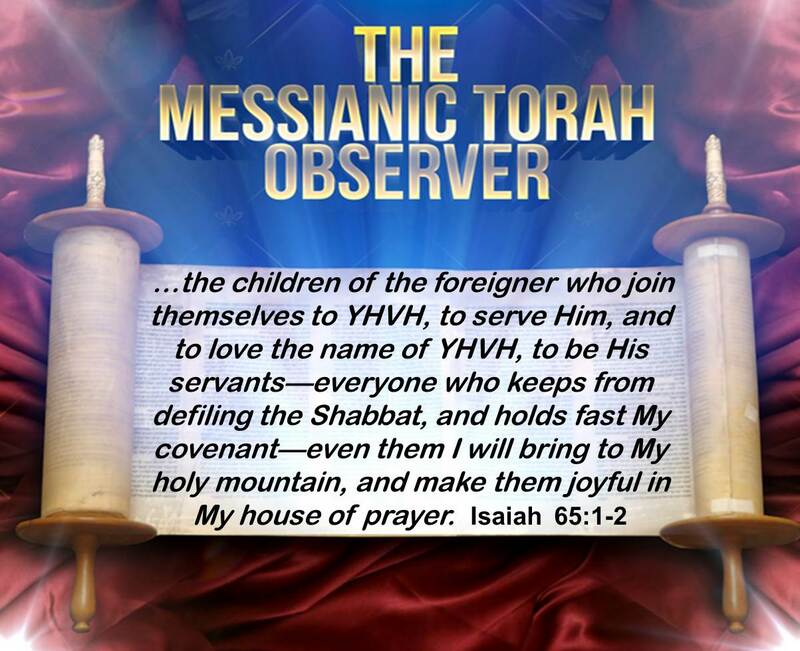 It all boils down to Yeshua’s words from Matthew 6:33, to seek first the Kingdom of God and His righteousness – this is the essence of His Torah, where He teaches us how to do this – how can we do any less if we truly love Yehovah our Creator, Lord and Redeemer? In the nest installment of this 2-part series, I will cover the “Jeans” part of the “Genes or Jeans” equation. Previous PostFire ProofNext PostDoes God care about Genes or Jeans (Part 2)?